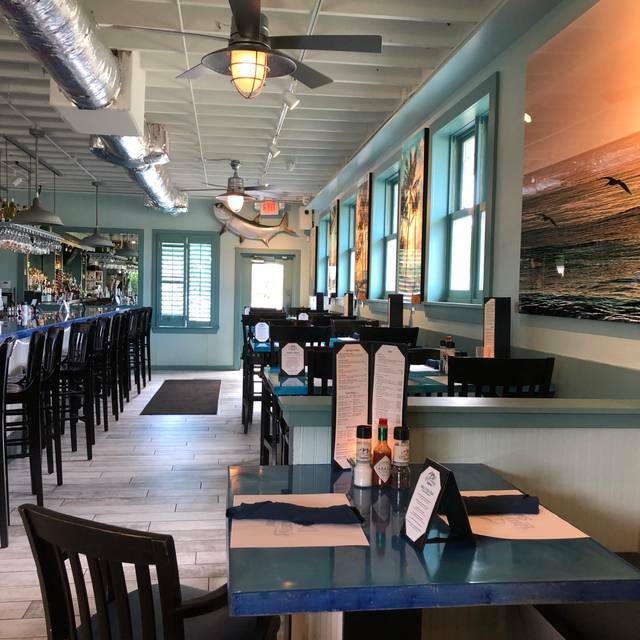 Nestled in the heart of Florida, Naples newest seafood restaurant where you can relax, breathe easy, be casual and get away from the everyday. One hand picked crab cake seasoned & cooked to a golden brown & served over a remoulade sauce. 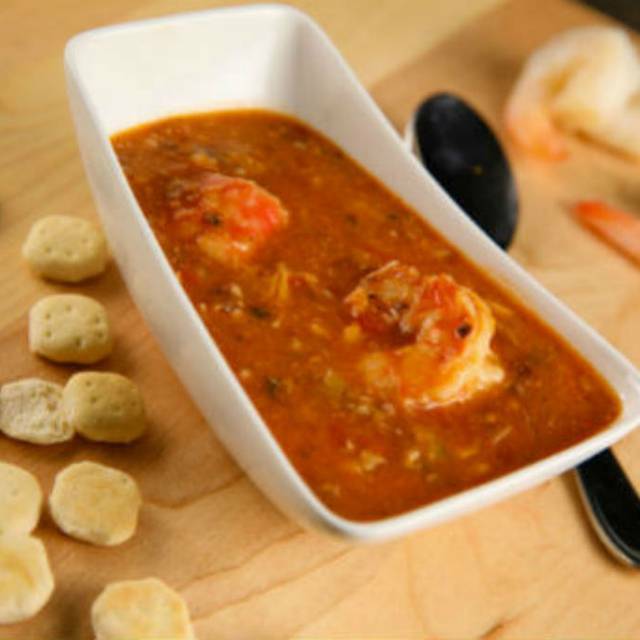 A seasonal assortment of seafood, andouille sausage, rice, okra, trinity (celery, bell pepper, onion), & tomatoes simmered with special herbs & Cajun spices! Sauteed Fresh Black grouper served over a bed of citrus infused risotto. 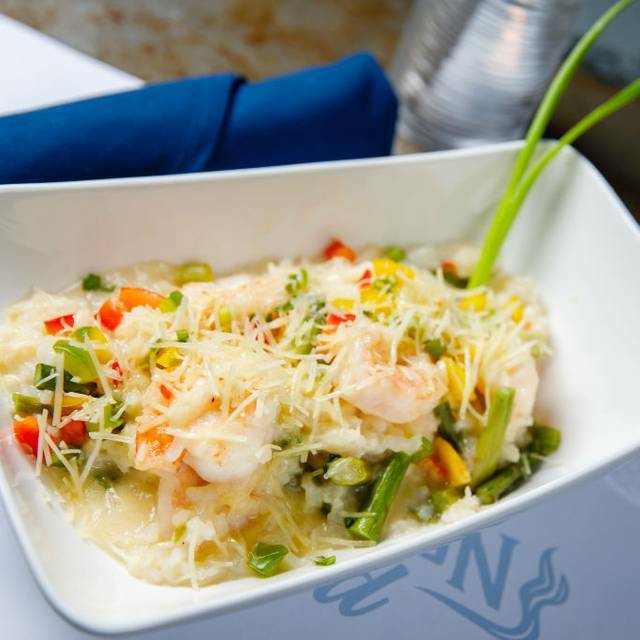 Topped with fresh hand-picked lump crab meat, hollandaise sauce, asparagus & fried leeks. 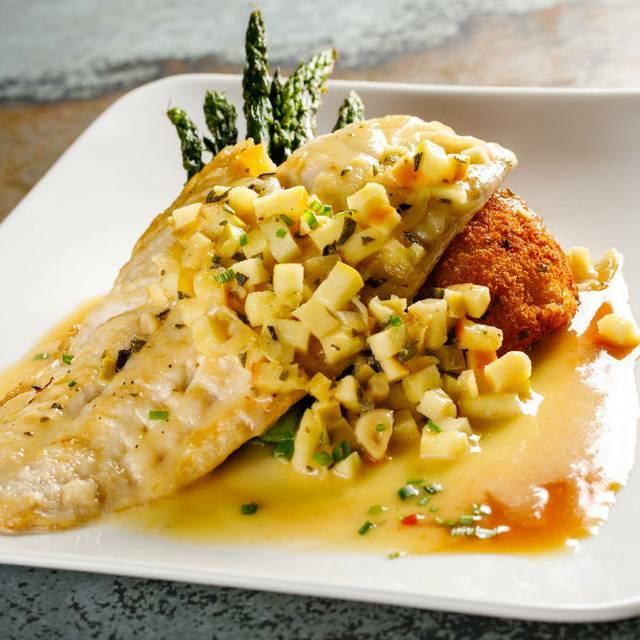 Local caught Hogfish Snapper stuffed with our lump crab stuffing & broiled. Topped with hollandaise sauce & sided with rice pilaf & green beans. Served with fresh bread basket & choice of two sides (or Premium sides for an additional dollar each). Add a side house salad for an additional two dollars. Tossed in a white wine, lemon butter garlic or alfredo sauce. Served over linguini & topped with Asiago cheese. The last time we were there in January I loved the calamari...best I’d had.this time it was not crispy at all. The garden salad had two pieces of cucumber in it and lettuce. The cosmo was watered down. But the server was fabulous. We will try again. Had an outstanding dinner with great fish - grouper, snapper and shrimp - all really well prepared. We had one bad experience here, but the manager was quick to apologize for a kitchen error, and we are glad to see it back on track. Deep Lagoon has been one of my favorites since the beginning. I also liked it's predecessor, Randy's. 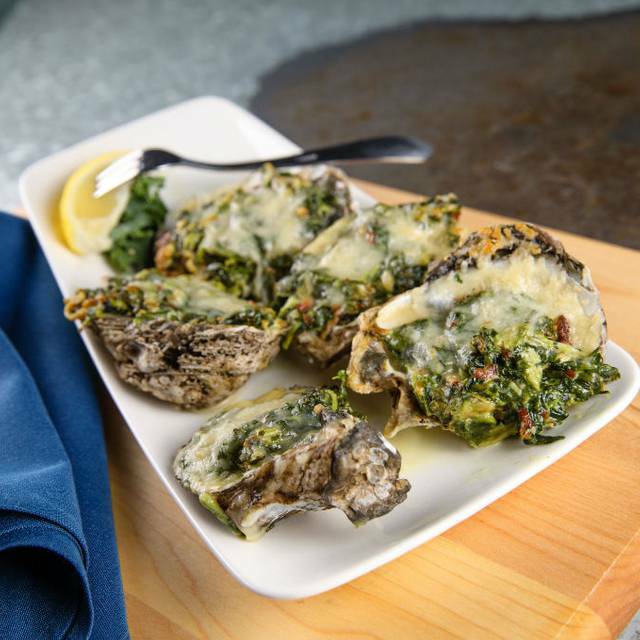 Excellent clam chowder and oysters rockefeller, my favorites. We were rushed through dinner by our server. The wine selection was poor. The grouper fingers were delicious - saving grace to the meal. Second time there and this restaurant does not disappoint. We all had different dishes and they were all delish! Celebrating two 90 something birthdays! We were from out of town and appreciated the outdoor seating with low noise level. Staff were excellent and made us feel comfortable. When I made the reservation I reserved a High Top table. That request was not honored. Also we had 3 different servers. Finally, food was just ok.
Been to Pinchers many times. Food quality is much better at Pinchers. Good fresh seafood at a reasonable price.....Not quite a five star ambience. Our server, Starling, was well informed about seafood prep and sauces. We will be back. We were with another couple. Their food was OK, the gentlemen's fish was a little dry. My husband had the tuna salad and said the fish was not that tasty, but fresh salad. I ordered the swordfish with baked potato and green beans. I ate about half of it and when our server cleared the table I said "I'll take that". I was not offered a box as most servers do. We received the check and no food came back to me. I questioned our server and he said it was already in the trash. IT WAS A LOT OF FOOD. He ordered me up another piece of sword but when I ate it the next day it was so dry, NO potato, NO green beans. Very disappointing. We were seated but took a little time to be served. The food and service were excellent once we got going. Would definitely recommend. One word :DISASTER ! wrong plates kept coming . everything was overcooked , and the key lie pie was still Frozen !!! Waiter forgot about us after he brought the bill. After 15 minutes we had to chase down another waiter to get him to run our cc. He must have found our waiter, because a few minutes later the original guy returned with the cc and bill to sign. What ticked us off was he gave our cc to another table, walked right past us and never acknowledged us. Luckily we saw what was happening and went to retrieve our cc. Not happy!! Unfortunate because one of our favorite spots. Love looking at the market. This is usually our go-to fish restaurant since they always have extremely fresh local fish due to the fish market model. Our last visit disappointed as the snapper was poor. The hogfish, tripletail and grouper fingers were overcooked as if the kitchen had lost its way. I hope they can get back on track. We loved this place in the past, but very disappointed in this outing. We brought our friends for their first time and when I asked if we could not sit in the back outside, I was gruffly told NO, we have your table for you. The outside back is a terrible place because cars run their engine and it blows right through you and your food and then people bring bug spray and it mists all over you and your food! My corvina was very good, but my wife's swordfish was very dry, possibly because they were holding it because our appetizer was served late. Very, very disappointing! I'm not sure I want to try again. We have always loved the place since it was Randy's. So glad the new owners have the same commitment to really fresh fish! Very poor selection of beers. Many were out of stock and menu was not updated. Found it pricey considering the quality was barely average. Location right beside US 41 is noisy and pleasant. If you go there stay inside. 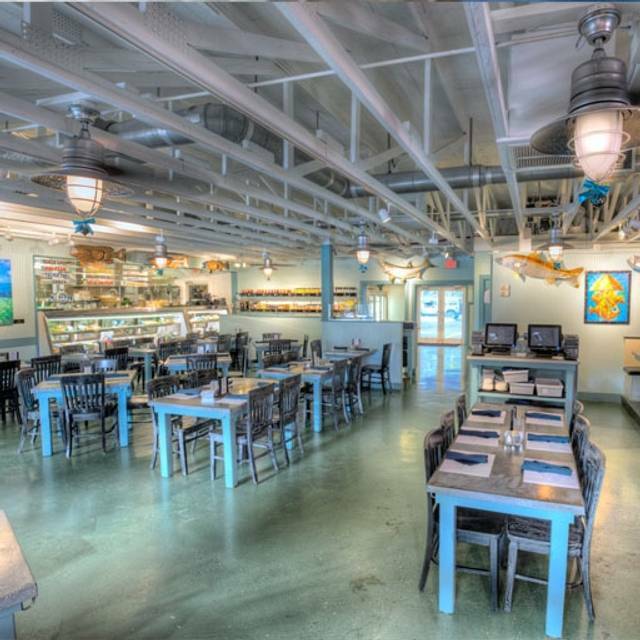 Deep Lagoon is a great neighborhood seafood restaurant. The staff are pleasant and professional. 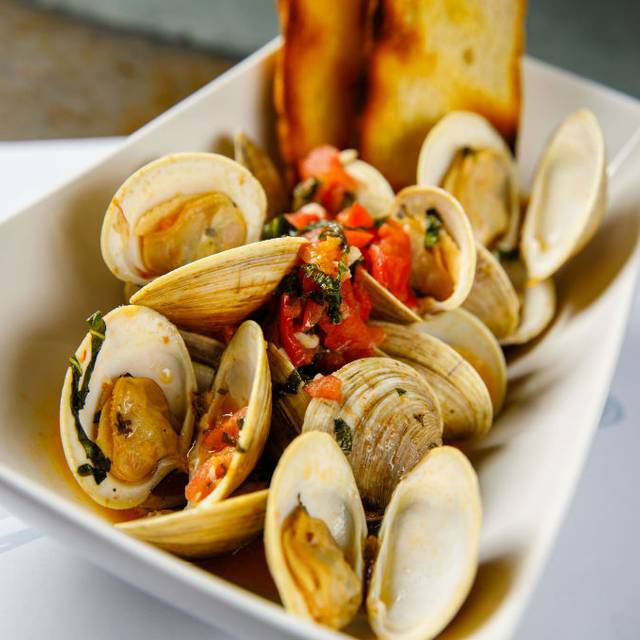 Fish and seafood dishes are wonderful. The bar is usually very lively and packed. It will not put a squeeze on the wallet, but offers up a quality lunch or dinner. Service was great. Cody and his manager were both very attentive and efficient. There were so many wonderful choices that it was difficult deciding which to choose. So many interesting preparations! Our waiter, George, was pleasant, knowledgeable and helpful. My husband’s snapper was done perfectly and the lobster bisque was delicious. The pineapple upside down cake was the best ever! Great experience. When we first got there for our reserved time they said it would 5 minutes as the table paid their check and they're waiting for them to leave. 10 minutes later we're told it will be 25-30 minutes because they're not quite leaving. We I ask for another table I'm told that is for a reservation, which I had one as well. 3 people couldn't accommodate us and staff was rude after some time. Finally, 25 minutes after our scheduled reservation we were seated in the patio, which was so loud we could barely hear each other at the table. Our waiter was not friendly, just did his job. Luckily the food was good. However, we took our desserts to go and they gave us something we didn't ask for and never got the key lime pie we ordered. Won't go back due to this experience. Really wanted to love this restaurant but it came up short. Grouper fingers app tasty but no garnish on plate, bland tartar sauce and a measly 5-6 small pieces for $14. Peach drink special was simple syrup with very little liquor. Salad just ok, good dressing and greens but thinly shaved cucumbers. Entrees very good, especially the key lime cod. All downhill after that, coffee sent back as cold, second cups still lukewarm. Key lime pie blah with fake whipped cream. was hit and miss. Bread great, may go back to purchase a loaf. The meals were awesome! Bar a little loud. Solid, no-surprises typical SWFla fish joint. Servers are sometimes a tad inexperienced, but still enthusiastic. Kitchen dishes out very decent food, much of it fried, but this typical fare in this neck of the woods. They often have a good selection of oysters on the half shell and their fried oysters are very good. (The best in the area, however, are the crispy oysters at the Claw Bar downtown, but they are very good here, too.). Most diners are locals who enjoy their fried seafood and beer. Just go and enjoy. It’s not fine dining, but neither are their prices. Many folks recall the days when it was Randy’s and it hasn’t changed much except for a good spiffing-up of the place overall. Key lime pie is original Randy version, too. 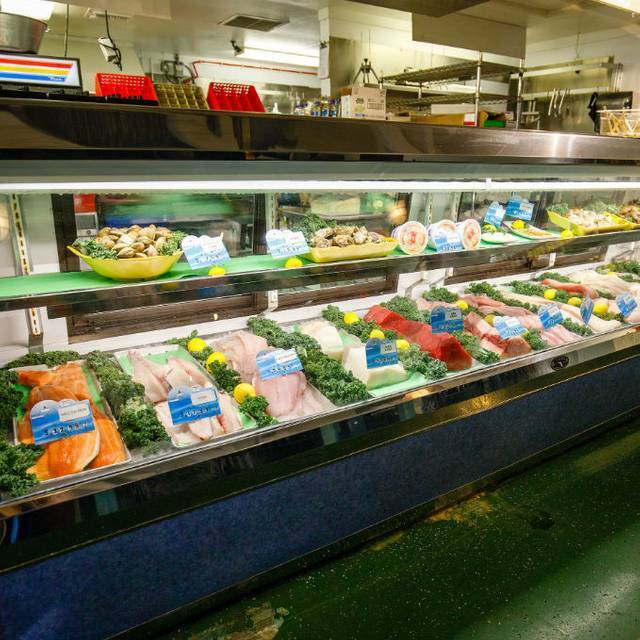 Always a good spot for fresh fish with a variety of preparations. Good to see their new manager who we knew from Dorona as well. We would love to see them add some additional non-fried appetizers as well to round out the menu, plus add a few more wines. Great place for local beer as well. 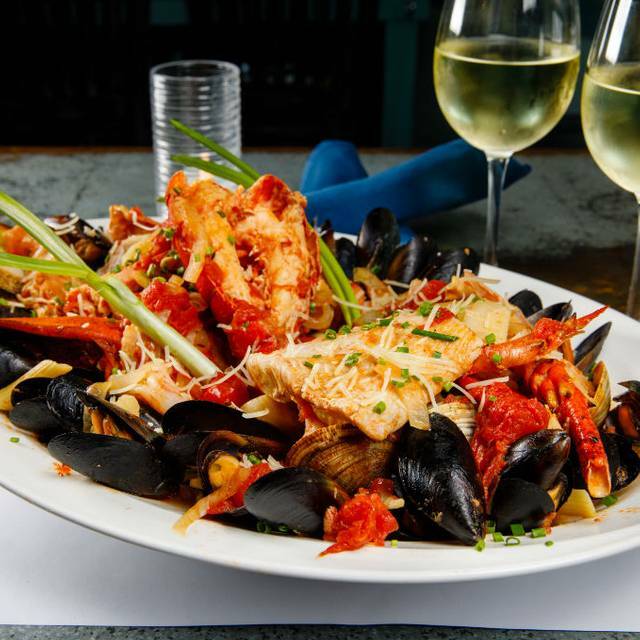 Good North Naples spot that has improved with new ownership. This was the second time we have visited Deep Lagoon this year. The food is good, but overpriced. Seems like when the restaurant changed from Randy's to Deep Blue a year or two ago, the prices went up and the service went down (we have visited this place annually for over 10 years). Fortunately the menu is similar. This visit we had 4 people, 3 ordered soup, but only 2 received soup on the first try. Of course this was corrected. When our meals came out, 2 arrived, the other 2 came out 5 minutes later. I ordered the 8 oz. fish, but got the 5 oz. . Again, everything was good, but at these prices, I expect better. Naples is busy this year of year, but that is making an excuse. The one good change is you can make a reservation at Deep Lagoon, I recall that Randy's didn't take reservations. The table was ready at the time reserved and outside as requested. Our party of 8 was accommodated very comfortably. Service was impeccable. The food options were interesting and there was plenty of variety for seafood dishes. Cooked to perfection. Fried clams were the best I have ever eaten. We’ll definitely be back. We were pleasantly surprised at the improvement in menu selection and quality of food. We visited three times. Chris provided excellent service. Excellent food! Table was ready at reservation time and all wait staff was attentive. Probably our best meal in Naples this trip! While I have been to Deep Lagoon Seafood many times before, I was disappointed in the service. I ordered the Seabass prepared Lagoon Style . When my entree came it was Lagoon famous rockefeller style. When I told our waiter of the mistake, he asked if I wanted him to take it back to the kitchen so they could "scrape" the creamy sauce off of the top of it. I said no I would like it prepared the way I had ordered it. He then asked me to put the fish on my butter plate so he could take it back to the kitchen and I could then continue to eat my baked potato and green beans. My father ordered the the Mahi prepared sauteed with lemon and butter sauce. The entree came as a sandwich, when I called it to the waiters attention, he took it away and quickly brought back the plate which he clearly just took the bun away. It was clear the fish was not sauteed in lemon butter as it was dry. When I pointed that fact out he came back with a sauce on the side. I felt the whole situation was handled unprofessionally. Our whole order was screwed up and we were eating at different times.. Relaxed atmosphere with great food. Fish tacos and oyster Rockefeller were fantastic.